He just annoys me, I don’t really hate anyone in life. But I’m very bad, in the House of Commons, at not getting distracted, and the endless, ceaseless banter, it’s like having someone with Tourette’s permanently sitting opposite you. I’ve got to learn to tune it out. That was the UK Prime Minister, David Cameron, speaking to the Sunday Telegraph about the shadow chancellor, Ed Balls. 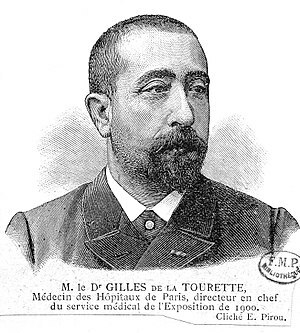 Tourette syndrome (or Tourette’s syndrome) is an inherited neurological condition. The jibe is all the more surprising because Cameron’s own son, who died at the age of six in 2009, had severe epilepsy and cerebral palsy. Would Cameron ever say, “It’s like having someone with epilepsy and cerebral palsy permanently sitting opposite you”? I think not. To find out if it’s OK to use a particular word or phrase in a particular context, it’s a good idea to substitute something comparable to check it out, as in ‘epilepsy’ and ‘cerebral palsy’ in Cameron’s remark above. How about ‘Down’s syndrome’? Er, no. ‘Learning difficulties’? Nope. ‘Tourette’s’? That would be no again, then. Clinical terminology should not be hijacked to use as a term of abuse and Mr Cameron should not provide unthinking prime ministerial endorsement of such use. Public reaction has been interesting. Comments have included the assertion that Cameron was insulting Balls, not people with Tourette syndrome. But this ignores the egregious fact that we are automatically expected to equate clinical conditions with abusive insults (a special Wordwatch award to anyone who can provide an example of a clinical term being hijacked to express praise or appreciation). Others have expressed the usual ‘this is political correctness gone mad’ argument in response to criticism of Cameron’s remark. A lovely catch-all rebuttal which attracts much vigorous nodding and saves the bother of having to explain why it’s OK to insult someone by comparing them to a person who has an inherited neurological condition. One or two people with the syndrome have stated that they are not offended. Good. But that doesn’t negate my arguments above. Words are tools. They should be used, especially by people in public life, to help demolish our knee-jerk association of disability with negativity, not reinforce it. You can find out more about Tourette syndrome on the Tourettes Action website.